This page is a one-stop shop for all of the open-source software I have created recently. Everything included here should be readily deployable in your own setting and I welcome you to reach out if you have any questions along the way. 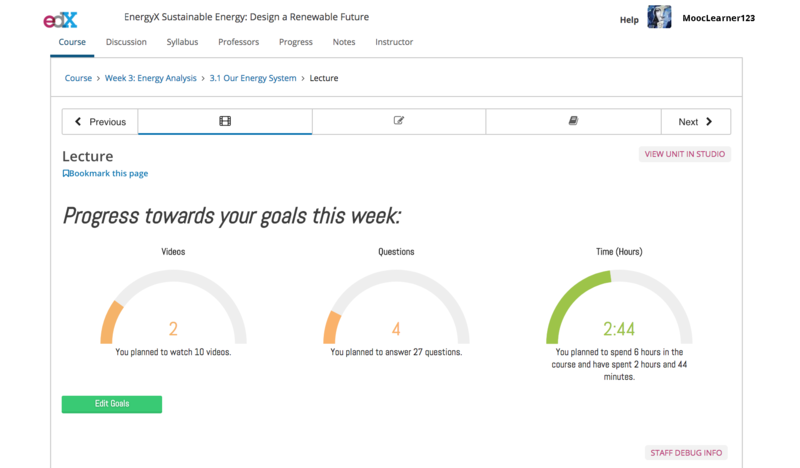 This software allows learners in any edX course to plan their goals/intentions for each course week and monitor their progress towards them in real time. 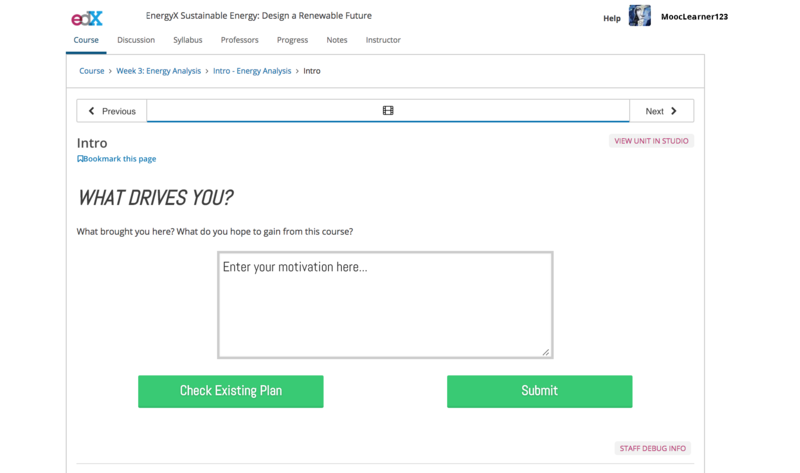 In creating this, I also offer an API to enable any real-time data collection and feedback in edX.  This software exists because I wanted to do an experiment using in-video quizzes and found a total scarcity of open-source in-video quizing software. 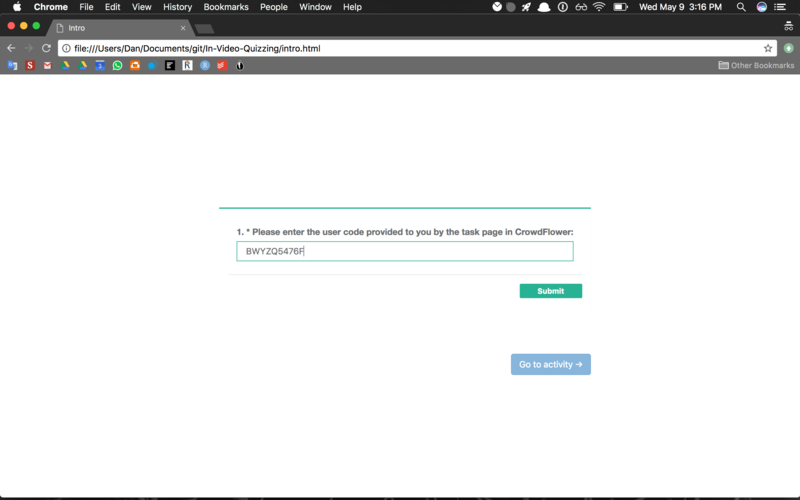 This software enables the creation of in-video quizzes (as well as normal quizzes and normal videos) with full activity logging capabilities. 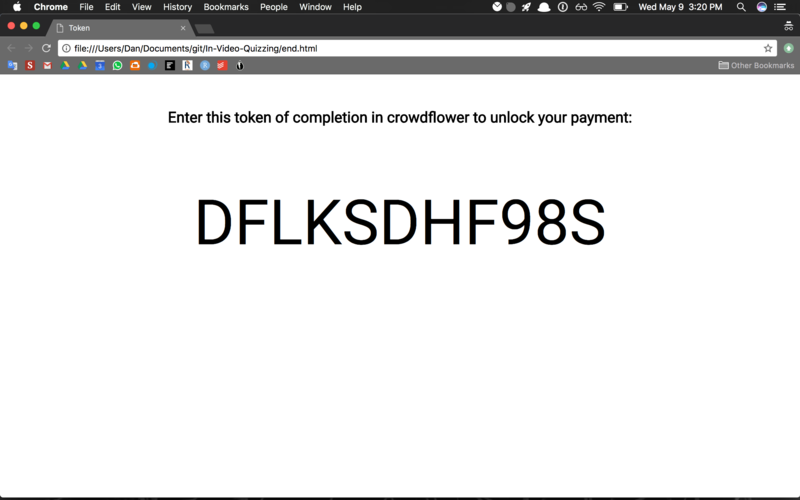 This has also been built in a way that makes it ready to be used in crowdsourcing contexts by using a token assignment/validation system. 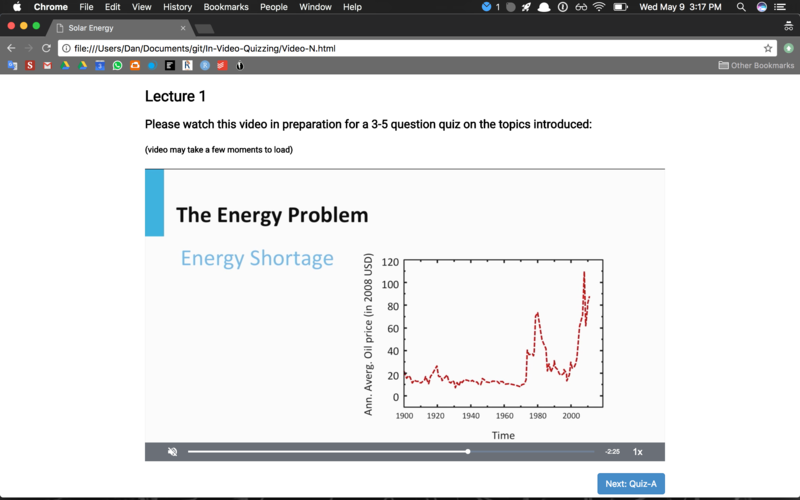 This enables course instructors and designers to input their zipped edX course structure file and then produces various visualizations to make visible the trends and patterns in the courses. 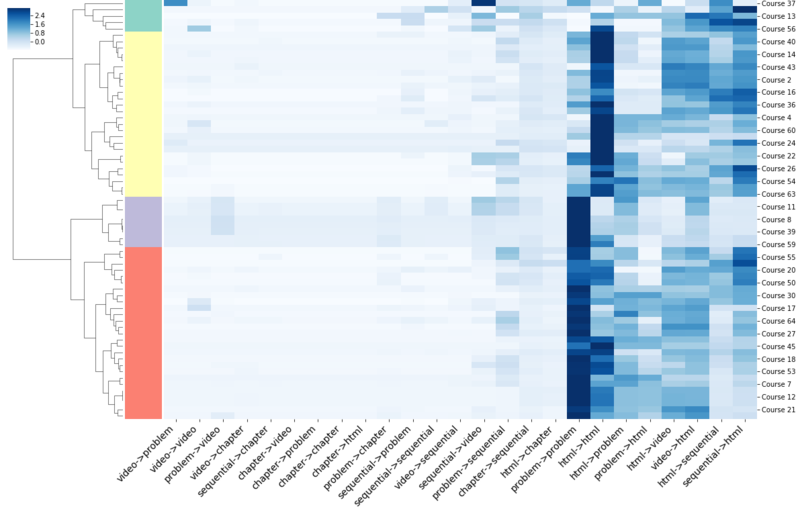 It also automatically clusters similar courses based on their structure using transition probality and trajectory mining. 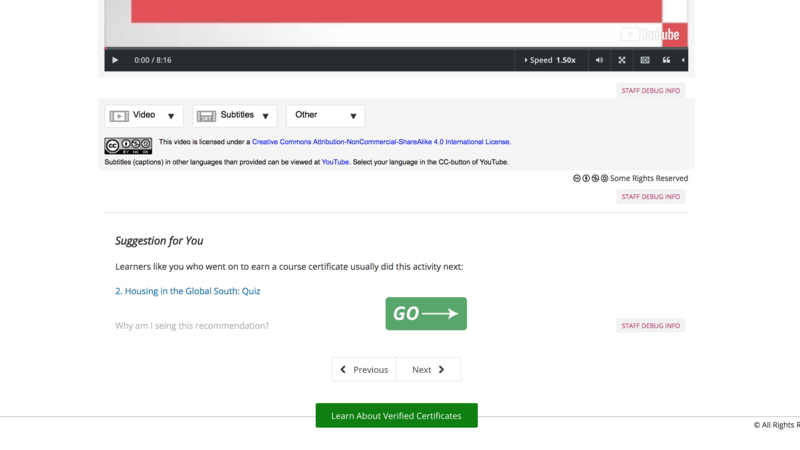 This software enables a real-time next-step recommendation for edX MOOC learners. 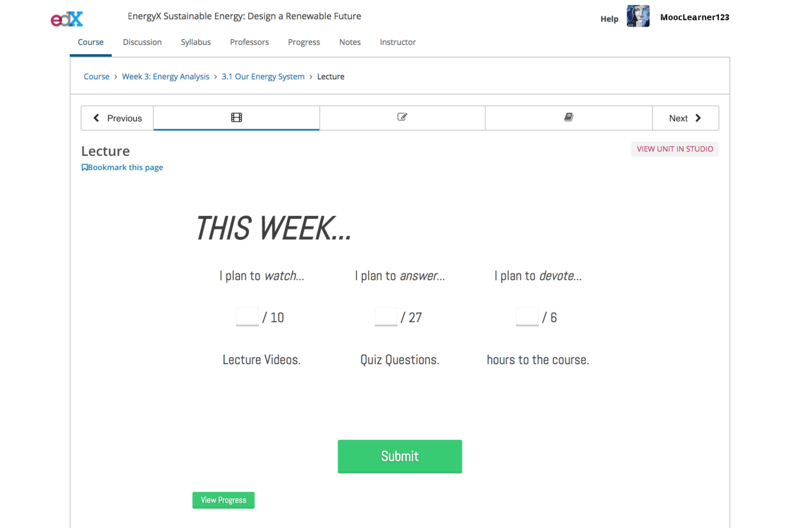 With this, learners are presented a recommendation of the next page we think they should visit based on our modeling of the behavior of previously successful learners who took the same course. 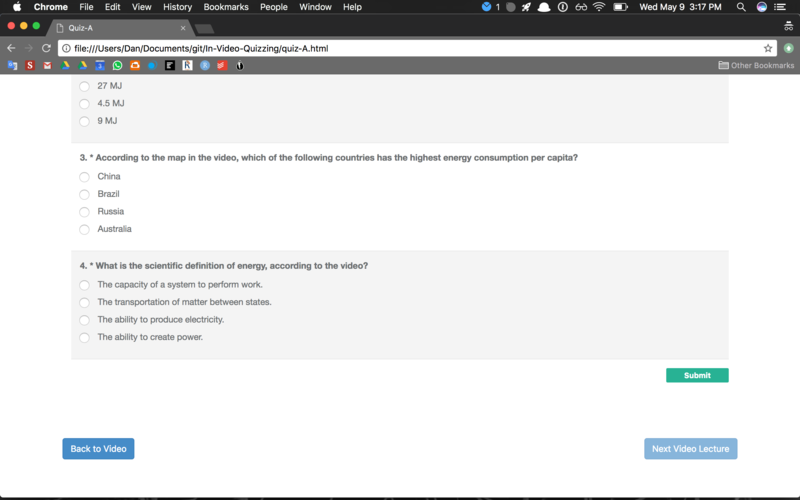 This software encourages retrieval practice (or the testing effect) by sporadically presenting edX learners with a quiz question from a previous section/chapter in the course. 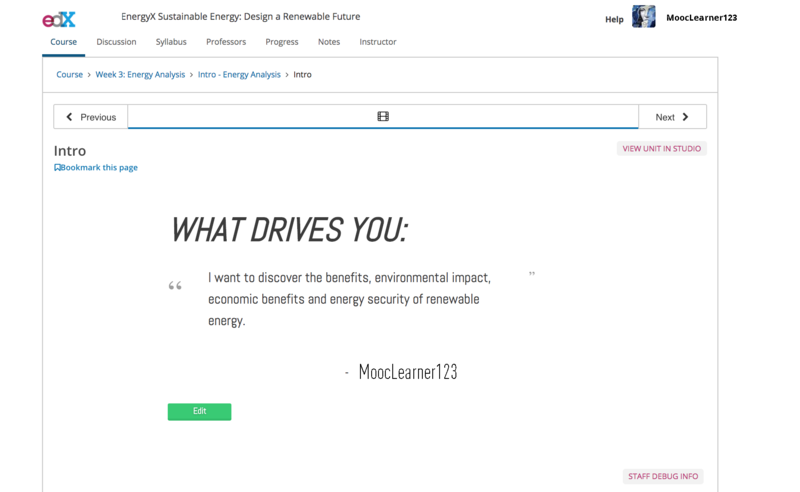 We also used the data collected from it to track the extent to which MOOC learners retain knowledge over the long term. 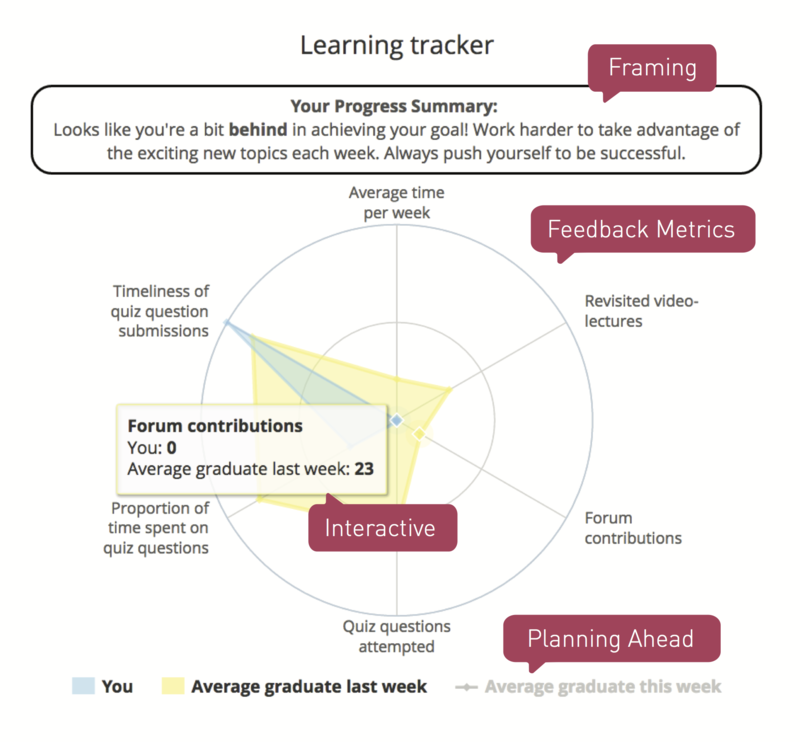 This weekly feedback mechanism for edX learners shows a spider chart comparing their behavior to previously successful learners.